Dunaway Hunting and Fishing Club is a one-of-a-kind residential hunting and fishing family paradise. It’s all here, right at your doorstep, exclusively for the enjoyment of lot owner members, their families and friends. Whether it’s white tail bucks or swinging beard turkeys, big game flourishes at Dunaway. Years of professionally managed habitat provide mature buck harvests and blue ribbon turkeys that exceed regional expectations. Bring your bird dog and enjoy shooting quail and pheasant in a maintained, natural habitat with more than 500 acres of oak savanna, native grasses, and agricultural fields. Or pursue the elusive mourning dove on planted sunflowers and corn. Fish Dunaway’s extensive and varied shorelines with more than 100 acres of private water, Dunaway Lake and two ponds. Years of management have lead Dunaway Lake to become a blue ribbon fishery where tonight’s dinner or a trophy catch is just a cast away. Looking for activities other than hunting and fishing? There are plenty of other adventures for the entire family – from sport shooting to swimming to ATV rides to hiking, there’s never a dull moment at Dunaway. Family is at the heart of the Dunaway experience, offering you and yours the opportunity to unplug and enjoy the outdoors together. Relax and enjoy a safe and secure community as special and unique as the land around it. 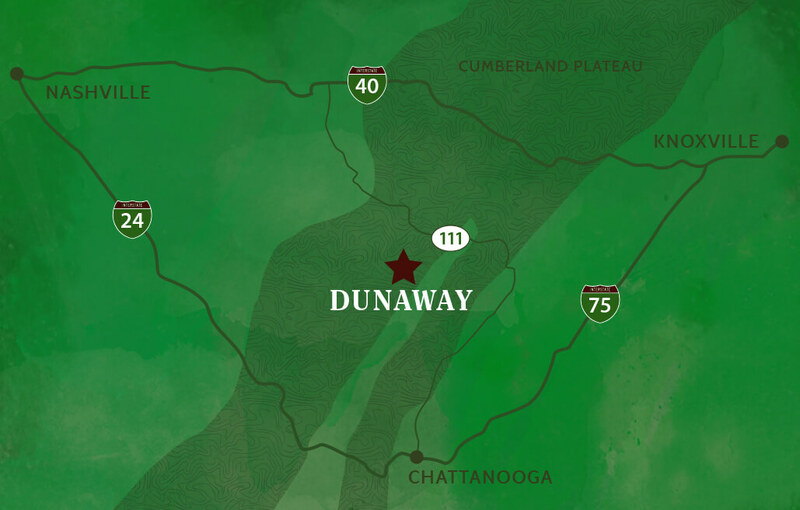 Dunaway Hunting and Fishing Club is a member owned, member governed, and professionally managed residential hunting, fishing, shooting sports, and outdoor recreational paradise. 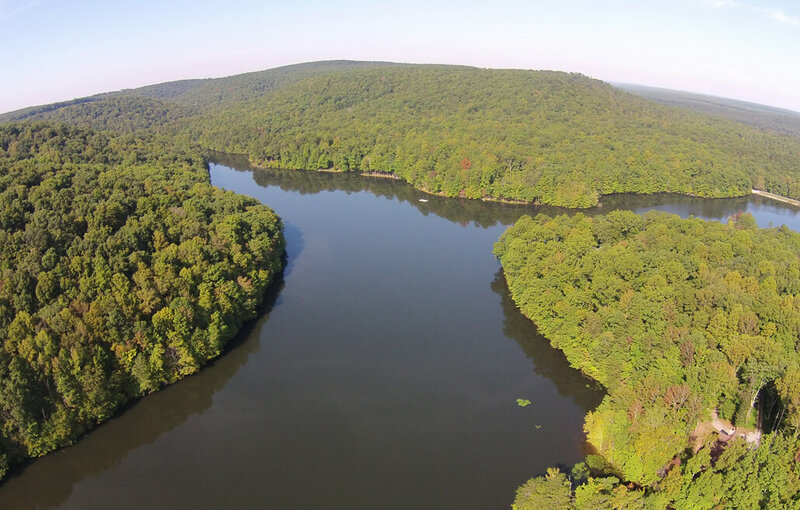 With more than 7,500 acres of dedicated wildlife habitat on the Cumberland Plateau and limited to only 44 members and home sites, Dunaway’s level of exclusivity and member to acreage ratio is unparalleled. it’s where memories are made, families of all generations come together, and the excitement of your next adventure is right at your doorstep. Whether you’re a hunter, angler, or just enjoy the outdoors, sweeping landscapes and endless shorelines await you and your family at Dunaway. Welcome to paradise. Welcome to Dunaway. “When I purchased a lot and built our lake house at Dunaway I assumed it would primarily be a hunting getaway. Instead it has become a year round retreat for my family and friends.” – Steve B. “The months of April and May can be a frustrating time for me at Dunaway. Do I go hunt what many call the best turkey hunting in the state? or do I go fishing on a lake where I know I will catch 20 plus bass, and have a good chance of catching one over 10 pounds? I feel blessed to be part of such a special place.” – John T.
“Deer, turkey, quail, pheasant, dove, bass, and bream; shooting, lake sports, and hiking. All this and more are right here at our home at Dunaway. We raised three children and eight grandchildren in this natural paradise, and they learned the ethics, satisfaction, and safety of boating, hunting, and fishing.” – Hayne H.
“When I recently asked my now 19-year-old daughter what was her best Christmas present ever, she said without hesitation, ‘when you bought me my first four wheeler and taught me how to ride it at Dunaway.’” – Joe H.
“Dunaway is a rare location that allows us to enjoy the freedom of the outdoors together in a community of folks who appreciate nature and family. Each time I bring friends and family to our cabin they say that they feel like they have gone back in time. Our kids have had a chance to learn about fishing and hunting and hiking, and they have learned to respect nature and appreciate its amazing beauty.” – Missy T.